The so-called Northern Pass transmission project is backed by Eversource Energy and would bring up to 1,100 megawatts of electricity from power producer Hydro-Quebec. Eversource Energy’s controversial Northern Pass transmission line and its Canadian partner, Hydro-Quebec, emerged Thursday as the winners of a contest to bring a vast amount of clean energy into Massachusetts. The selection of the Northern Pass project was done in a process overseen by the Baker administration in collaboration with representatives for three big electric utilities, including Eversource. With these contracts, the three companies would collectively buy nearly 1,100 megawatts of electricity from Hydro-Quebec, and bring the power into the state through a nearly 200-mile transmission line across New Hampshire. But by sanctioning Northern Pass, the Baker administration is trying to strike a tricky balance: The project would require miles of towers and high-voltage wires through New Hampshire’s rural landscape, an impact that supporters describe as a worthwhile trade-off for the new access to reliable hydropower. The decision is sure to draw intense opposition — and possibly years of litigation — from environmentalists and New Hampshire groups who say Northern Pass will mar the scenic landscape that anchors the Granite State’s tourism economy while doing little to spur new renewable projects based in New England. 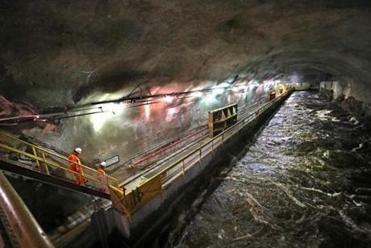 About one-third of the 192-mile project would be underground, particularly as its wends through sensitive White Mountain National Forest lands. The company agreed in 2015 to bury that portion of the line to quell the opposition, but much of the criticism continued unabated. As state officials plan to announce whether they will buy more hydropower from Canada, the indigenous peoples of the region are worried about the impact of that additional energy to be exported across the border. Although they do not yet have all their permits for the project, Eversource officials said construction on the transmission line could begin by July, with work being completed by the end of 2020. Judith Judson, commissioner of the Massachusetts Department of Energy Resources, said Northern Pass was picked because of its ability to deliver the most amount of electricity within a reasonable time frame, at a reasonable cost. At $1.6 billion, it was not the least expensive transmission option, but the additional cost of the electricity supplies factored into the calculations. “This is the project that rose to the top in terms of economic benefits as well as its ability to be in service,” Judson said. Eversource, National Grid and Unitil also still need to settle on the terms of the 20-year contracts, but Judson said she expects those will be submitted to the Baker administration by the end of April. Bill Quinlan, president of Eversource’s New Hampshire operations, said he hopes to get the remaining state, federal and Canadian permits by the end of March. New Hampshire Governor Chris Sununu has long been supportive of the project, and Quinlan said he expects the state’s site evaluation committee to approve it next month. Quinlan also said as many as 1,500 people would be working on the project during its construction, and once completed, it would save New England’s wholesale electric market an estimated $600 million a year by displacing higher-priced sources of energy. Cynthia Arcate, chief executive of a cooperative that buys electricity for nonprofits, PowerOptions, said she was surprised state officials would settle on Northern Pass. She said the Baker administration should have an out in case Eversource can’t get started on time. And some New Hampshire residents are already bemoaning the decision. Power lines from Northern Pass will cut through the property in Canterbury where Corinne Pullen and her husband own a farm and bed and breakfast. Suzanne Steele, 52, a wellness consultant from Deerfield, N.H., lives about a half-mile from where the transmission line will pass. The bidding process was set in motion by a 2016 state law requiring the utilities to seek big clean energy contracts. Governor Charlie Baker’s administration championed the law as a way to diversify the region’s energy mix — the governor regularly referred to the need for a “combo platter” of energy sources — and ensure the state becomes less reliant on older, more expensive fossil-fuel plants. 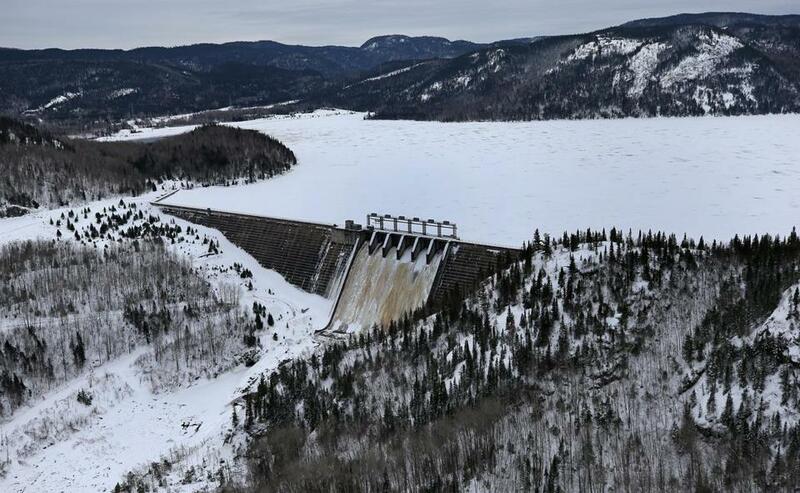 The law didn’t specify that the electricity had to be hydropower, although it was written with Hydro-Quebec in mind; other bidders had offered wind and solar as sources. “Our concern was that this was just a bill for Eversource and Hydro-Quebec,” said Dan Dolan, president of the New England Power Generators Association, whose members compete with Hydro-Quebec to supply electricity to the region. Critics such as Dolan question the impartiality of the decision-making, given the fact that representatives for Eversource helped write the bidding rules and pick the winners. Matthew Beaton, Massachusetts’ energy and environmental affairs secretary, said he’s confident the selection of Northern Pass was done at arm’s length and did not show undue favoritism to Eversource, in part because an independent evaluator was hired to oversee the process. Beaton noted that the 2016 state law required the three big electric utilities be involved in the decision-making process. A National Grid affiliate submitted two power line proposals of its own in the bidding process and indicated in a statement that it was disappointed its proposals weren’t picked. Beaton also pointed to another round of bidding underway for offshore wind contracts, to build wind farms south of Martha’s Vineyard, also set in motion by the 2016 law. Eversource is backing a venture that is bidding for those contracts as well.